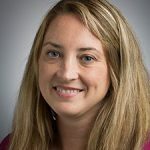 To help provide insight into the recent article published in Bioanalysis: Analyzing protein glycosylation using UHPLC: a review, we spoke with author Laura Rowe, Assistant Professor at Valparaiso University (IN, USA). Laura explains why she felt this was an important area for bioanalysis and worthy of publication. With 17 years of experience in bioanalysis, Laura has been working with a UHPLC–MS instrument for the last 3 years and has worked with HPLC and FPLC for the past 17 years. She has worked intermittently with the purification of glycosylated proteins for potential biotherapeutic applications since her postdoctoral work in 2009 (9 years). Isaac Newton has a wonderful quote, which, if you substitute ‘girl’ for ‘boy’, perfectly encapsulates how I feel about bioanalytical research: “I do not know what I may appear to the world, but to myself I seem to have been only like a boy playing on the sea-shore, and diverting myself in now and then finding a smoother pebble or a prettier shell than ordinary, whilst the great ocean of truth lay all undiscovered before me.” There is a vast horizon of unknowns in understanding how living organisms work and exploring these mysteries is just a whole lot of fun for me. In order to try and comprehend little nuggets of how living organisms operate we need a way of measuring and tracking, the bits and bobs within cells that are much too small for us to actually see with our senses. This is where the instruments and tools of bioanalysis come into play, in that, by creating and employing analytical methods and devices we are able to understand the ‘where, what and how much’ within living organisms – which we then use to build theories concerning the ‘how’ and ‘why’ of life’s symphony. I believe that testing the limits of life, both with synthetic biology methods and when considering origin of life and astrobiology studies, addresses some of the most fundamental scientific (and human) questions, such as: “how was life created?”, “why does all life use the same building blocks?” and “are we alone, are we the only life in the universe?”. Bioanalytical tools, including UHPLC instrumentation, help me, if not answer, then to at least explore these questions, which I find both profoundly meaningful and enjoyable. Although, in the long run, my research endeavours are likely no more than the equivalent of me looking for cool rocks next to an endless sea, the rocks feel nice in my hand and it sure is a pretty view. As a review article, I hope that the primary result of my publication about UHPLC uses in glycoprotein analysis is that it is a useful reference article for individuals who are starting out either in the field of glycoprotein purification and characterization or in using UHPLC for biomolecule analysis. For me, well-written review articles are always my first, and most useful, method of both understanding research areas that are fairly new to me and for becoming aware of the relevant primary references that I need to read in order to become current in the state-of-the-art of said research area. Thus, I hope that our article serves as an effective spring-board for students and researchers beginning to use UHPLC in their biomolecule based projects. Although I have previously used FPLC methods and MS methods for the purification and analysis of whole glycoproteins from complex cellular milieu, I am currently using UHPLC–MS for the analysis of individual amino acids in an astrobiology-based project. For this project we are studying the stability of proteinogenic and non-proteinogenic amino acids after they are exposed to the extreme conditions that are (or may be) found on Mars and Europa. The amount that these amino acids have degraded after this exposure is quantified using UHPLC–MS. Recently, we have studied individual amino acid stability following UV and gamma irradiation but in the future we plan on using UHPLC–MS to study the stability of both amino acids and small proteins following exposure to perchlorate spiked Mars regolith and after exposure to conditions in select geothermal hot springs. In terms of the next steps for UHPLC use in bioanalysis, I would say that a current bottleneck is definitely the analysis of the chromatograms following the UPLC runs. These are always done by individual people and both the process of analysing each chromatogram for any issues and integrating the relevant peaks are very tedious and time consuming. Developing reliable and user friendly computer programs that could do this automatically would be an enormous advance that would significantly increase analysis times. In terms of projects that correspond to my current research, I am currently very interested in the detection devices that they are proposing to have on future Mars and Europa missions, such as multiple IR, UV, and x-ray fluorescence spectrometers, as well as gas and mass spectrometers. No UHPLC–MS planned on these missions yet though! Additionally, the fact that several life forms (bacteria and lichens) have recently been demonstrated to survive conditions outside the International Space Station for long periods of time is a very exciting discovery for me. In terms of bioanalysis in particular, I get excited about analytical technology developments when they allow us to explore biological phenomena much more rapidly and accurately than before. In this way, UHPLC is a significant step-up from HPLC, as it is so much faster and can resolve much more complex solutions. One of the things that I think will be important for future UHPLC development and widespread adoption will be the (hopeful) future reduction in the cost of the instrumentation and supplies. The current high cost prevents a lot of academic institutions and smaller industries from moving from HPLC to UHPLC, even though doing so could significantly increase their productivity. Like most ‘newer’ technologies, I expect that in a few more years the price of UHPLC instruments will come down considerably and I would imagine many more groups will then begin using them. In terms of using UHPLC instruments, I think that anyone who has a working knowledge and experience with either FPLC or HPLC will have sufficient background such that transferring to a UHPLC instrument should be fairly easy. However, due to the high pressures in the system we have found that ‘self-tinkering’ with the UHPLC instrument is not a good idea in most cases and when anything major goes wrong we just go ahead and call the service technician. Of course, things like software problems and minor leaks we fix ourselves but I do not try to fix the UHPLC instrument on my own nearly as much as I would on a less expensive and less finicky FPLC or HPLC. Additionally, when purchasing the MS detector we needed to choose between purchasing a nitrogen gas generator or using liquid nitrogen for the nitrogen gas source. We decided to go with the liquid nitrogen but in retrospect I think this was a mistake. If you are planning on using the MS detector on your UHPLC–MS instrument very much at all the cost of the liquid nitrogen will quickly overtake the amount it would have cost to just go ahead and purchase a nitrogen gas generator. Also, and although this is true for HPLC too, solutions need to be filtered well prior to UPLC loading and one must be quite careful when putting high salt concentrations through the system. We opted to purchase a more expensive UHPLC that incorporated a special type of tubing more amenable to the solutions needed for proper cleaning following biological fluid injection and salty solvents, and if you are planning on using your UHPLC–MS for biomolecule work, then I would suggest that you do the same. Could mass spectrometry improve the accuracy of burn diagnosis?